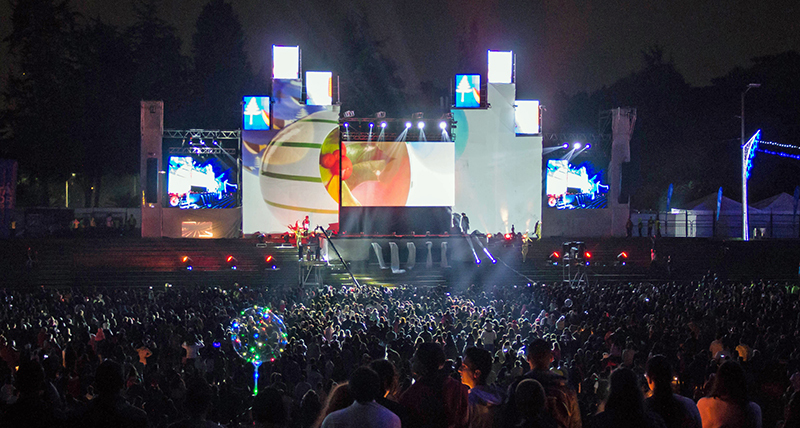 The stage for Noche de las Velitas at Simon Bolivar Park in Bogotá, Colombia, on December 7, 2018, featuring Bose ShowMatch line arrays. BOGATA, Colombia — Sound rental company Audio Daz supported a major concert at Simon Bolivar Park in Bogata with a recently-acquired line array system from Bose Professional. The concert, “Night of the Candles” (Noche de las Velitas) took place Dec. 7. The event is part of a Christmas holiday tradition that has taken place since 1854. 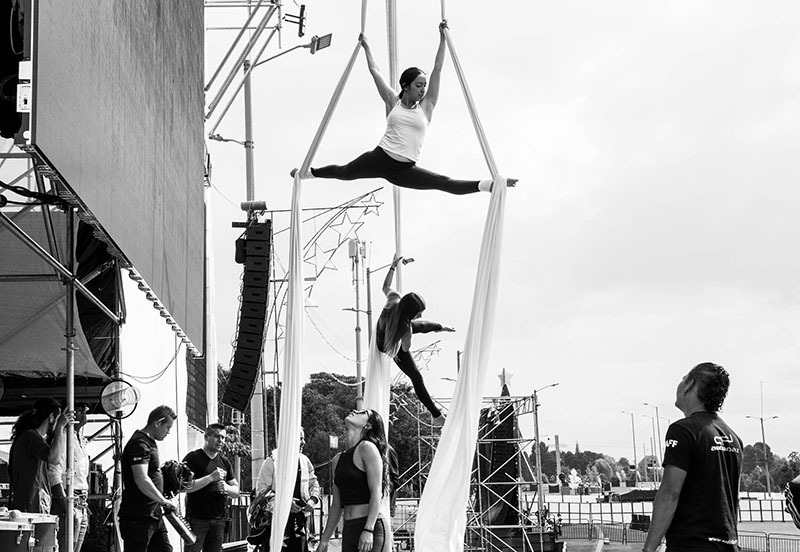 Aerial artists practice at Simon Bolivar Park in Bogotá, Colombia for Noche de las Velitas. Bose ShowMatch line array can be seen in background. On December 7, 2018, the Simon Bolivar Park in Bogotá, Colombia, hosted the traditional regional celebration known as the “Night of the Candles” (“Noche de las Velitas” in Spanish). This is an annual custom that has taken place since 1854 in different parts of the country to honor the Immaculate Conception and signals the beginning of the Christmas holiday festivities. This year, the Bogotan Town Hall, in collaboration with the National Institute of Sports and Leisure (IDRD), organized a large public concert that included a candle-lighting ceremony, the performance of the Clara Luna Choir and a sensational closing concert by Colombian singer Maía. 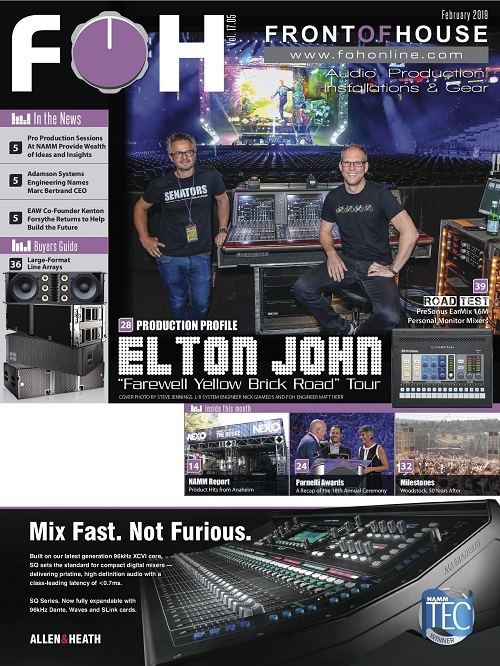 The Bogotan company Audio Daz, which specializes in audiovisual production and installation for large-scale events, employed its recently-acquired ShowMatch system from Bose Professional to deliver clear, powerful and intelligible sound to the nearly 25,000 fans that attended the show. Bose Modeler software was used for pre-event design of the system. The setup included two main arrays with 12 ShowMatch modules each, complemented by two lateral clusters consisting of 10 modules each. These were placed about 100 feet away from the main arrays. 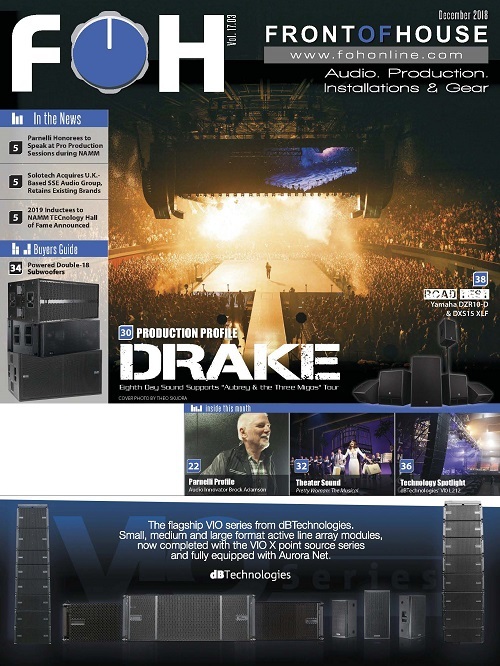 The system was supported by 30 ShowMatch SMS118 subwoofers, divided into two sets of eight subs on each side of the stage, with an additional 14 placed in a central front arc. This system easily covered a 60,000-square-foot area (with a 330-foot distance from the stage to the deepest part of the grandstands) with a consistent sound that felt clear and balanced in every corner of this outdoor venue. 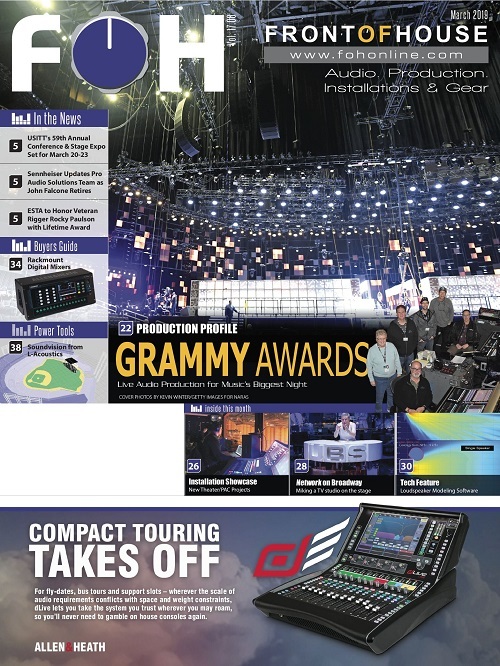 This wasn’t the first time Audio Daz and their technical staff have used their ShowMatch system, having already used it for concerts in other municipalities throughout Columbia, including Tocancipá and Villanueva Casanare (the latter a concert featuring Mexican norteño superstars Los Tigres del Norte). When deciding on the ShowMatch DeltaQ system, Audio Daz was supported by Sound Republik, authorized dealer of Bose Professional equipment in Colombia. Having surpassed the expectations of Audio Daz, the performers and the large audience at the Night of the Candles celebration, the company now plans to use the ShowMatch DeltaQ system in many more festivals and concerts throughout Colombia. The region is an important market for the live-events industry in Latin America. Compact yet powerful, the ShowMatch DeltaQ line array system has rapidly become one of the most sought-after PA systems for concerts, festivals and private events around the world. 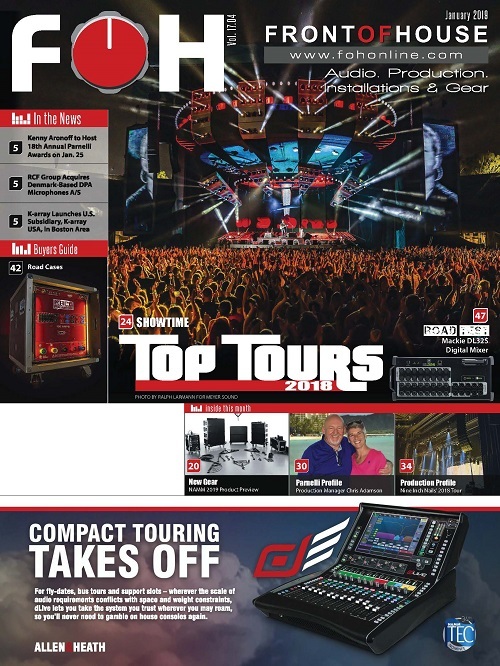 Versatile and easy to use, ShowMatch has garnered a growing following and is playing an increasing role in live shows in Mexico, Latin America, the United States, Europe and Asia. 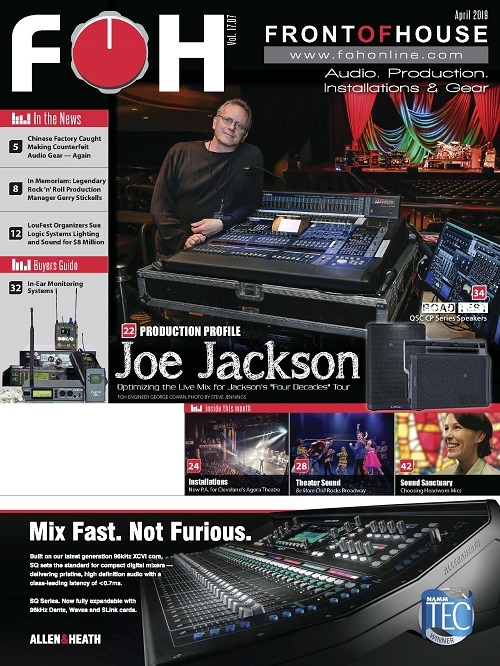 For more information, visit http://professional.bose.com/showmatchsolutions.